A guide for the cool kids. With Father’s Day right around the corner and gift guides being put together left and right with brands that are from the Boycott List, here is your official alternative guide to the men's department! 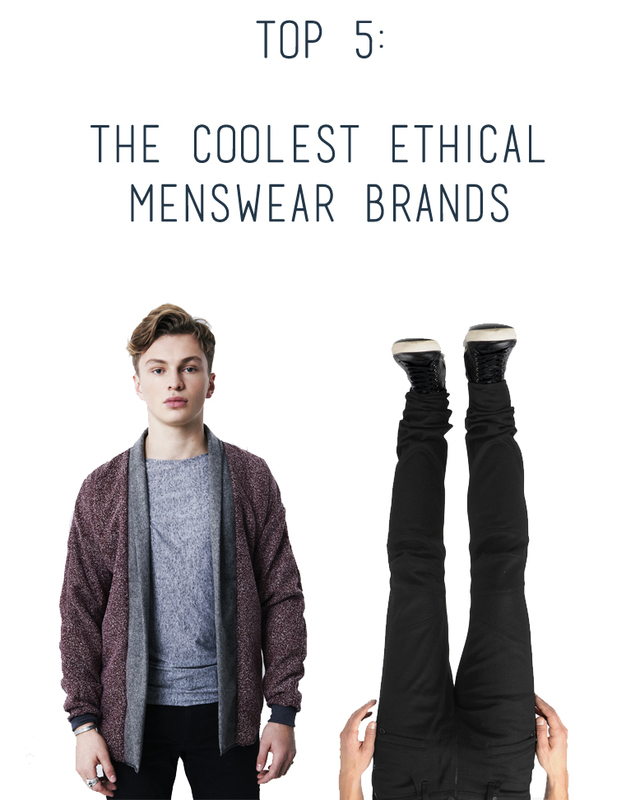 Also a great resource to bookmark and save for anyone who enjoys ethics and aesthetics (well-designed ethical clothing for men is honestly *so* hard to find!) (A lot of these brands also sell women's clothing, too!). 1. Brothers We Stand: Alec Bizby Handmade Kimono Cardigan | The rad men at this London-based menswear brand label fast fashion as "rubbish" and are devoted to transparency, ethical progress, quality clothing, "stand out ethical behavior," and high labor standards. Essentially, what we're trying to say is that they are totally amazing. 2. Hudson Jeans: Blinder Biker Jeans | Complete with a dedication to unaltered models, Hudson Jeans are "born and raised in Los Angeles" and only use denim of the highest quality and ethics. Also here is a photo of their CEO holding a bicycle at a bike-building event for at-risk youth. 3. Veja: Volley White Nautico | I discovered this brand last month and it was definitely love at first sight. They are essentially a cooler, more beautiful, and ethical version of Nike/Adidas (both of which are on the boycott list!). These kicks are made from organic cotton and are able to keep their prices under control and within an affordable range by making a no-advertisement pledge. How rad is that?! (very). 4. Nau: Shwood Francis Sunglasses | Not only are these sunglasses throwing shade on fast-fashion by making sustainability their standard, but they also donate 2% of every sale to Partners for Change! 5. Everlane: Twill Weekender | I am so much in love with the transparency of these wonderful people: scroll down below each product and they list--to the penny--the cost of everything from labor and materials to duties and transportation. Why is this impossible for all other brands, again? Looking for something for ladies? Here are 6 (Ethical) Stores You'll Love as Much as Zara, or, better yet, 6 Rad Handmade Brands Made By & For Strong Women! Any ethical menswear brands you recommend? I haven't heard of any of these--THANK YOU so much!!! Totally sharing this with my bf bc he could really use it. Love your blog and honoured to feature. these are all such great ideas! I love how Everlane discloses all the actual costs of the manufacturing. I know--they are so great! And I've never heard of Bridge and Burn but they have great stuff! Thanks for linking, Andrea! Hey there! Just checked out your site--you have really wonderful shirts! I love the Ink Blue Striped Linen shirt! Thanks for leaving your link!